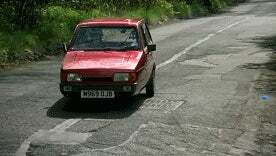 So last night my wife and I were watching the top gear marathon and she saw a brief clip of the reliant Robin segment and started cracking up. So I showed her the full segment and she thought it was the craziest and greatest thing she's ever seen. I knew there was a reason I married her.